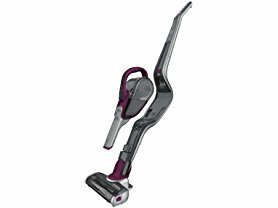 Check out this BLACK+DECKER HSVJ520JMBF27 Cordless 20V Max Lithium 2-N-1 Stick Vacuum for $79.99 (Retail $149.99). Clean smarter, not harder, with the BLACK + DECKER Smartech 2-in-1 cordless vacuum. Tackle carpets and hard flooring with the upright--the vacuum automatically adjusts suction levels to the surface you're vacuuming. Or, take care of small jobs with the detachable handheld vac, which has an extendable crevice tool to clean up those tough-to-reach spaces.